Crafted in a 10oz 100% Cotton with double stitching and reinforced stress points. 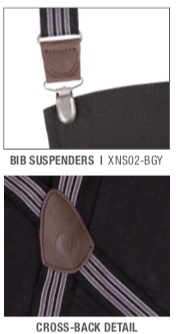 These CHEF'S BIB APRONS have self waist ties and have a separate crossback pair of suspenders. 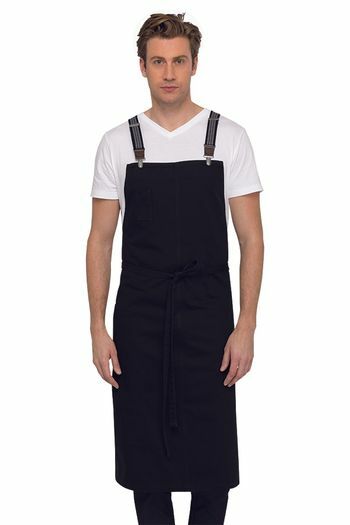 The hip pockets are reinforced with rivets for additional strength and the apron has a chest pocket with pen divide.The apron is larger than the regular bib apron for extra protection in the kitchen . Make it your own! Personalize this coat with embroidery, simply click the checkbox next to Embroidery $5 per Line. Please allow 5-7 business days for customization.